The Application Management System is the BC Oil and Gas Commission’s new online portal for the submission and payment of oil and gas permit applications. The Application Management System (AMS) is the BC Oil and Gas Commission’s new online portal for the submission and payment of oil and gas permit applications. With the introduction of the new AMS, the Commission has updated the spatial data submission process and corresponding spatial requirements. Spatial data is now a crucial part of the Commission’s application process directly through the OGC AMS. Applicants no longer need to submit spatial data through ePASS and provide their reference number as part of the application. In the AMS, once the applicant selects the activity type(s) included in the application, the applicant is queued to upload the corresponding spatial data. 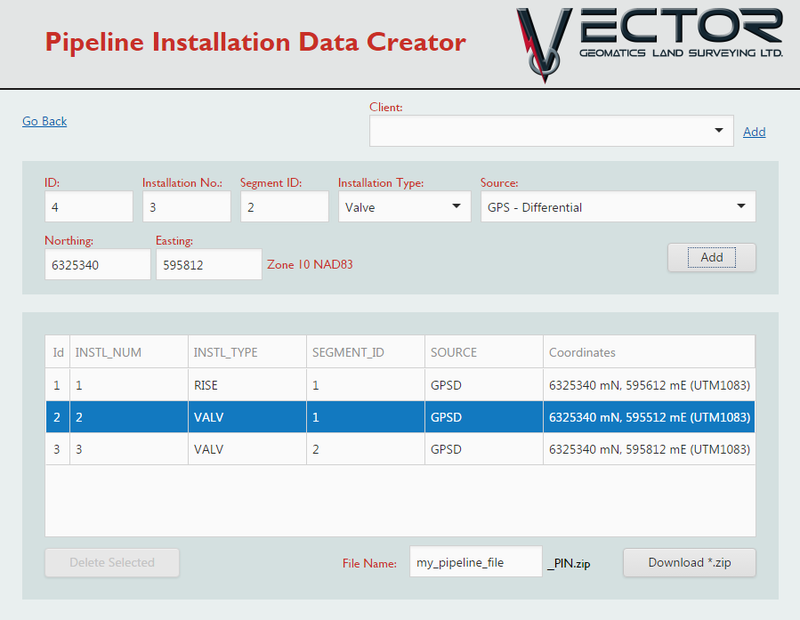 To help aid with the transition into the new system, Vector Geomatics has created a suite of custom tools that allow you to produce accurate spatial data for submission through the OGC Application Management System. These tools save time and simplify the process, enabling you to get the application submitted faster. Generate an AMS upload ready shapefile for single or multiple segment pipelines. All OGC pipeline installations (risers, valves, pumps etc.) can be added easily and efficiently within the tool. Our Point of Diversion tool creates the shapefiles necessary for short term water use (Section 8/10) applications. 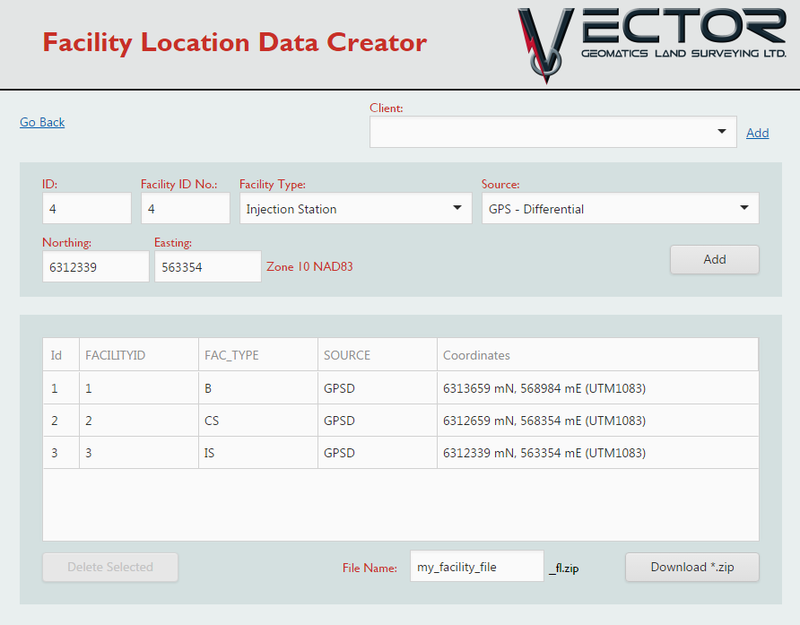 Create a Facility Application point shapefile built to AMS standards (most of these types of applications will require a polygon shapefile to accompany the application). 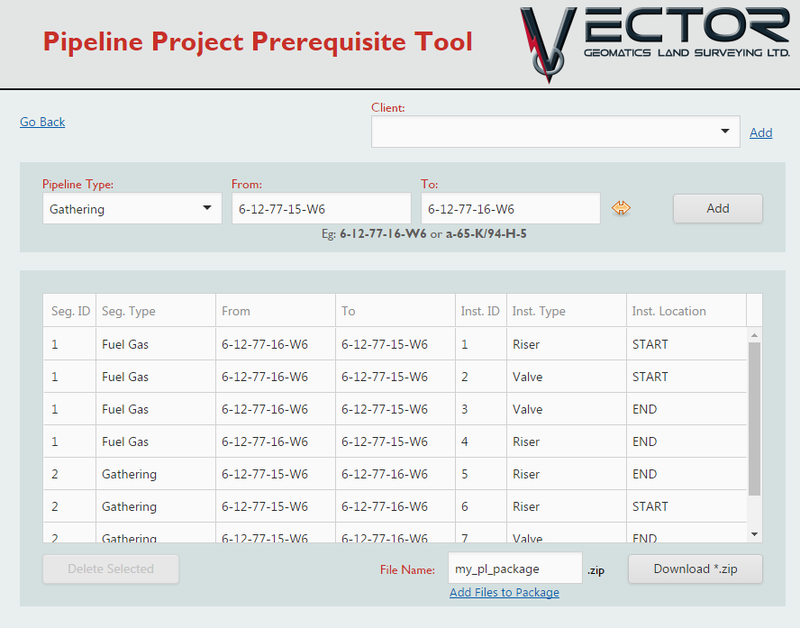 Collect the necessary information needed to properly prepare the Survey Plan and the AMS required spatial files. 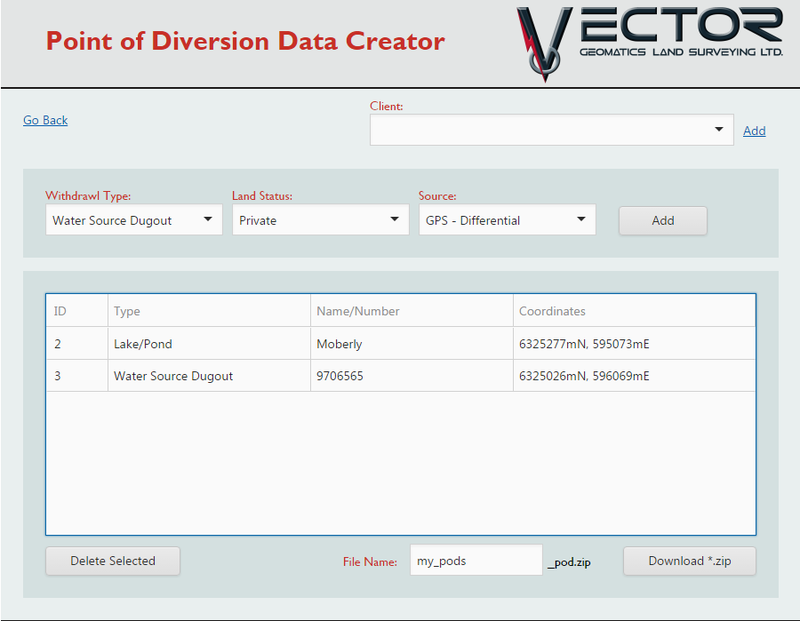 This tool is to be used before the construction plan is started and the resulting data then gets sent back to us. This step helps fill the gaps between engineering and the surveyors. Receiving this data in advance limits any errors/omissions, while speeding up the process saving time and money. If you are interested in trying any of these tools please contact us.